The Foundation of St Matthias is a trust, formed following the closure and sale of the College of St Matthias in 1979. 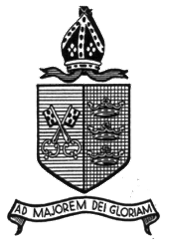 The College was a Church of England College of Education but following a decline in the birth-rate and a reduction in the number of teachers required for training, the then Secretary of State for Education and Science requested that the college be closed. The assets were sold and the income invested to form a trust fund. The Foundation’s primary objective is the advancement of education in the Dioceses of Bath & Wells, Bristol and Gloucester, with a preference for higher and further education; such education contributing to the advancement of the Church of England. Applications for standard grants should reach the Foundation of St Matthias by 31st May (for consideration in July) or 30th September (for consideration in November). The process to apply for scholarships is different and further information can be found in the scholarships section.